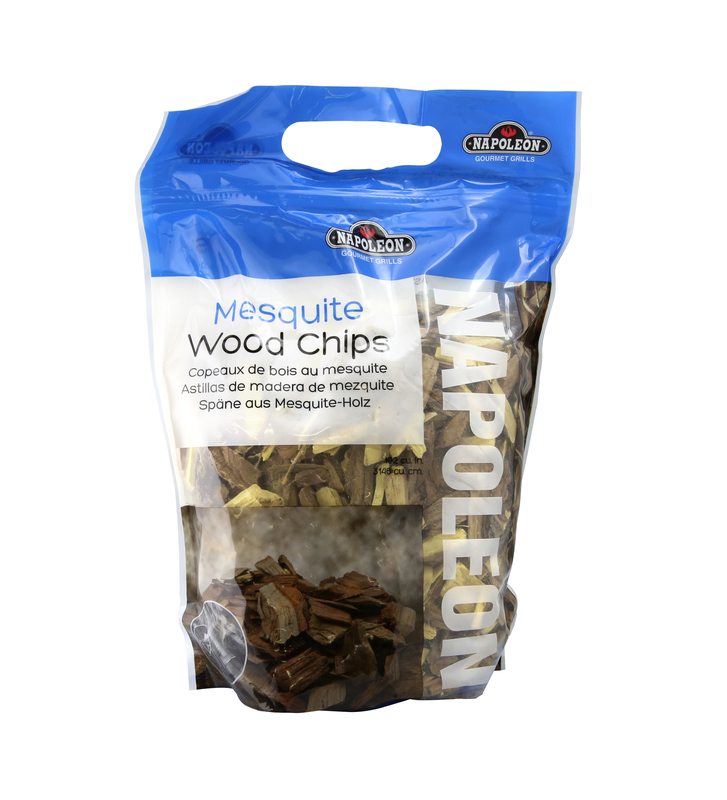 Get the southwest flavor from these Mesquite Wood Chips. Native to the lower United States and Mexico, Mesquite is a leafy, hardwood tree that produces a sweet and strong flavored smoke that is perfect for red meats like beef, pork and it’s also great with poultry. Soak the wood chips for at least 30 minutes before beginning. Remove the chips from the water and place them in the Napoleon Smoker Tube, then directly onto the sear plates of your gas grill, or into the integrated Smoker Tray in the Napoleon Prestige PRO Series PRO665 Gas Grill. Place the selected food onto the grill when your chips start to smoke. Avoid opening the lid of the grill while smoking to ensure the best, smoked flavor. You can also flavor your Mesquite Wood Chips with different liquids during the soaking process. The flavors that go best are cider, pineapple juice, lemonade, beer and ginger ale.